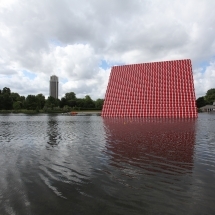 Deep Dive Systems is working for a second time with the world famous artist – Christo. 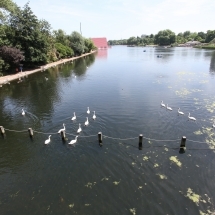 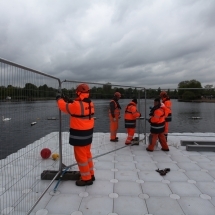 His project “ The Floating Piers” realized in Italy in 2016 was the first common work between the artist with Bulgarian roots and Deep Dive Systems` team. 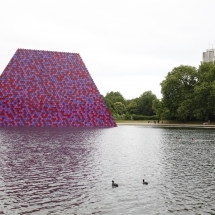 Now, a remarkable new masterpiece is coming this June in London. 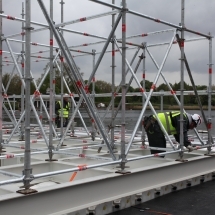 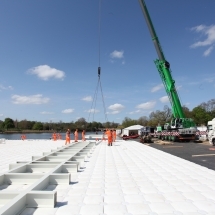 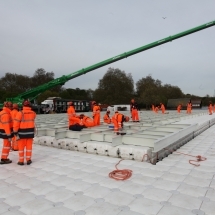 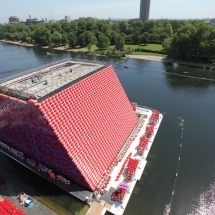 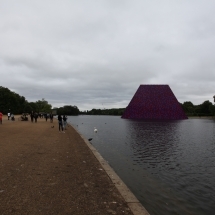 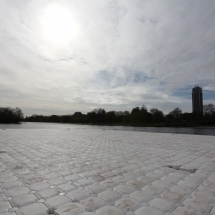 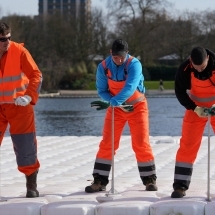 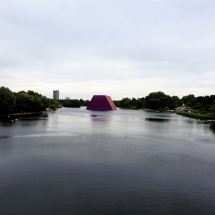 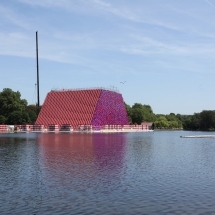 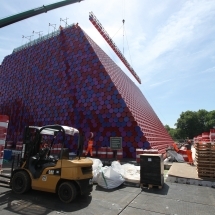 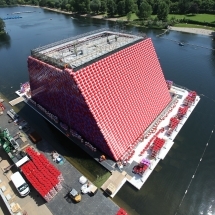 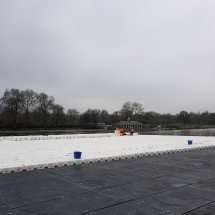 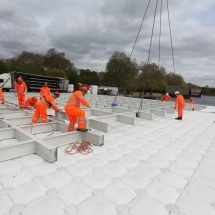 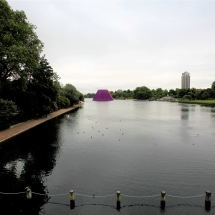 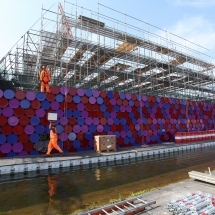 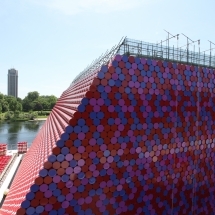 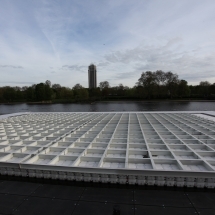 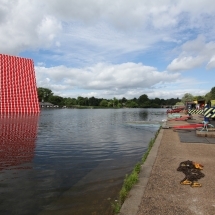 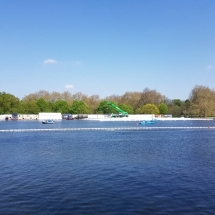 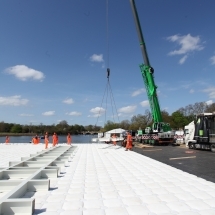 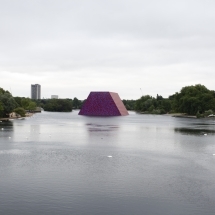 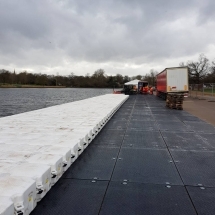 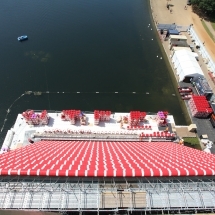 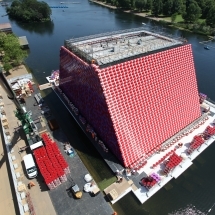 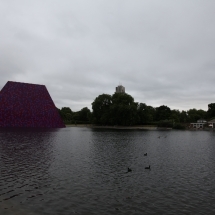 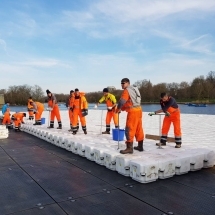 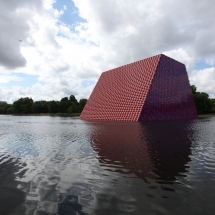 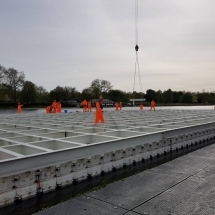 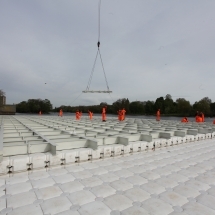 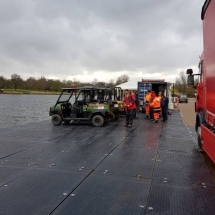 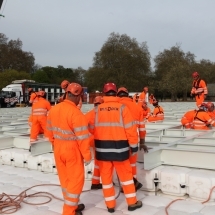 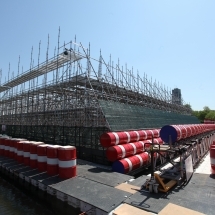 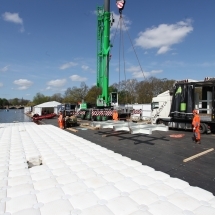 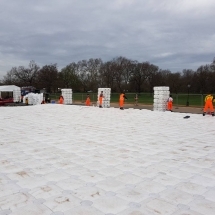 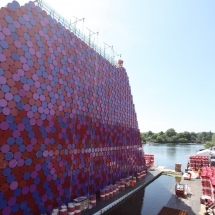 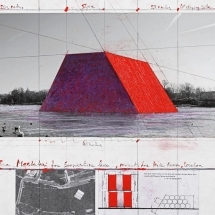 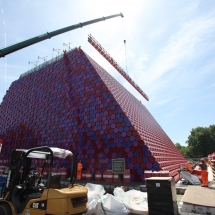 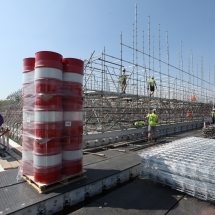 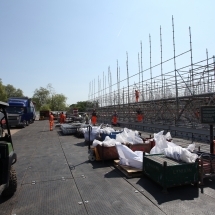 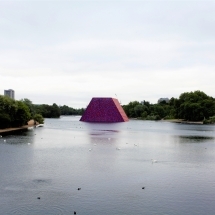 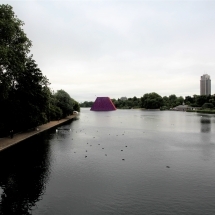 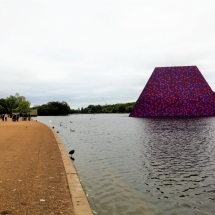 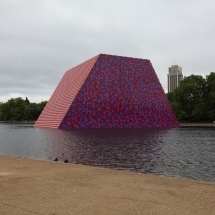 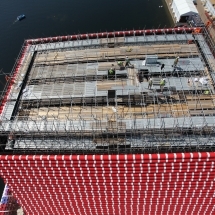 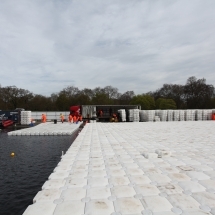 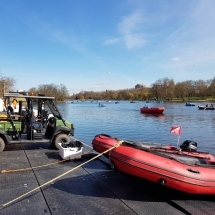 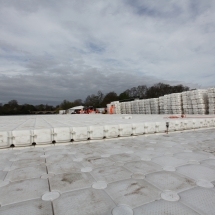 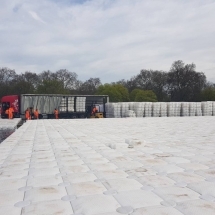 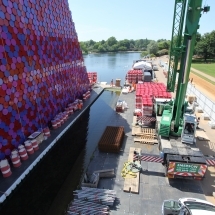 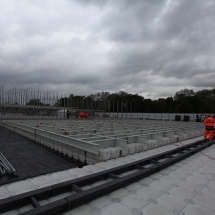 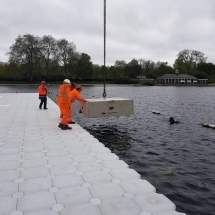 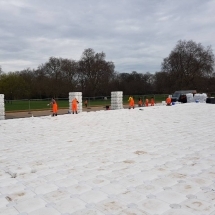 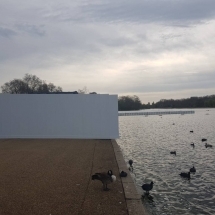 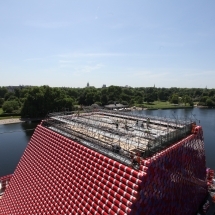 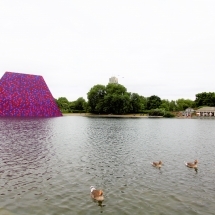 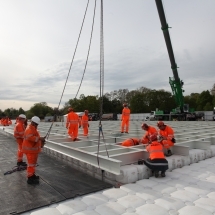 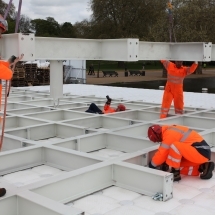 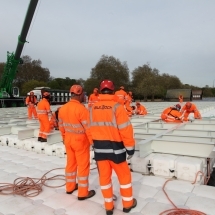 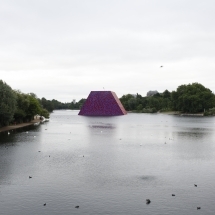 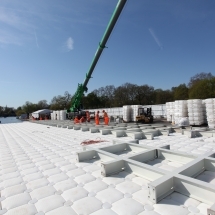 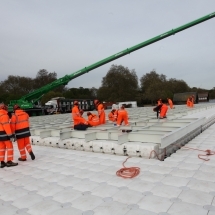 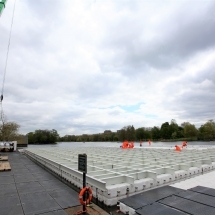 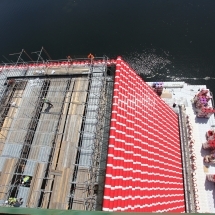 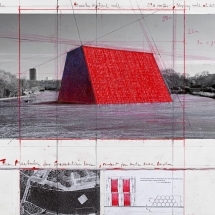 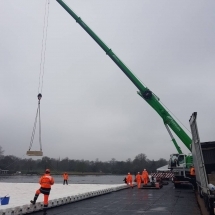 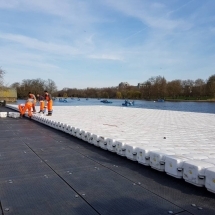 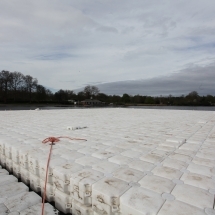 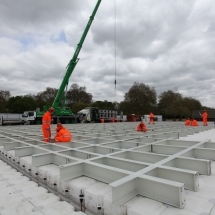 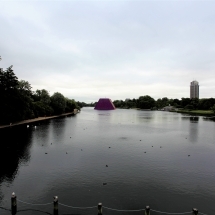 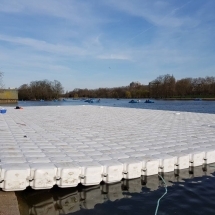 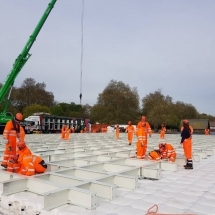 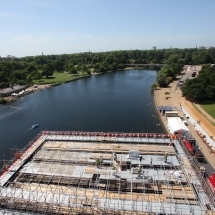 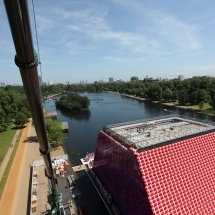 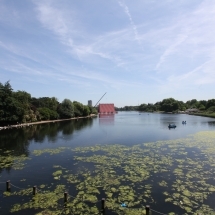 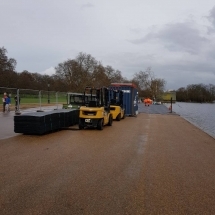 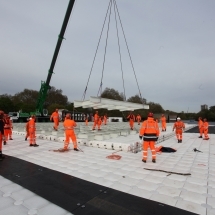 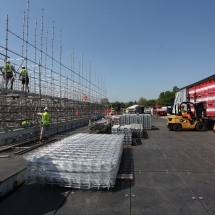 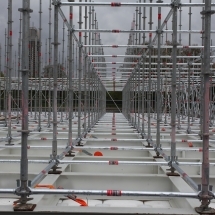 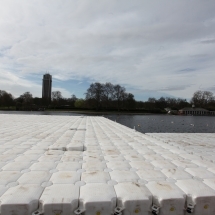 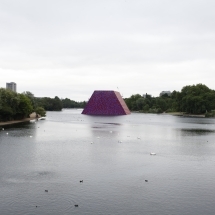 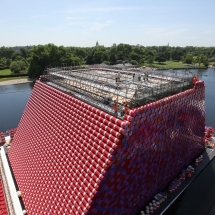 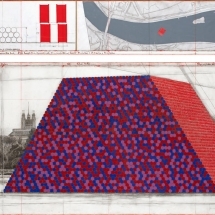 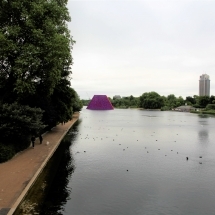 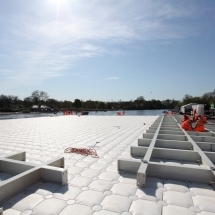 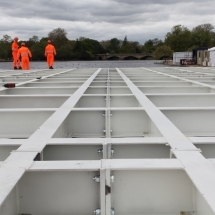 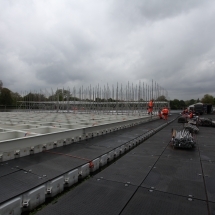 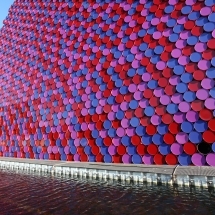 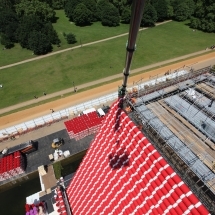 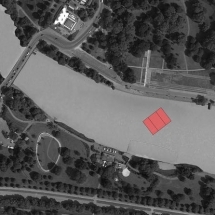 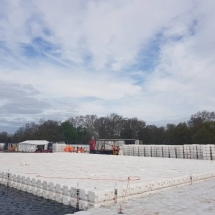 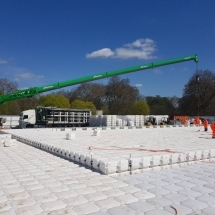 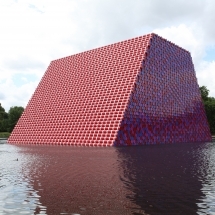 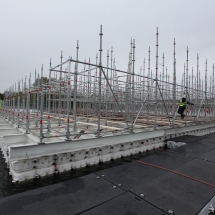 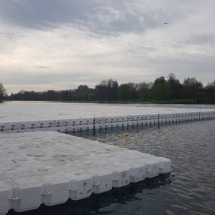 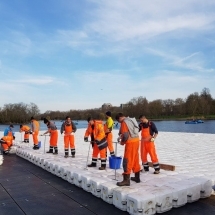 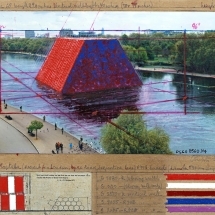 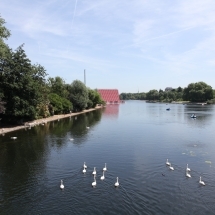 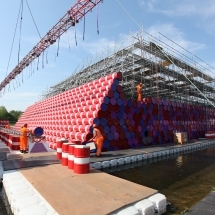 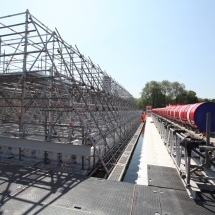 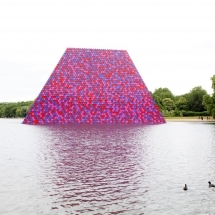 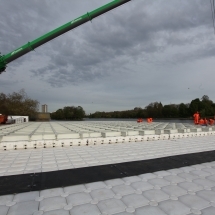 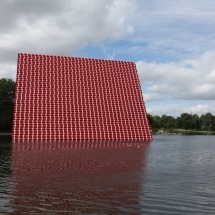 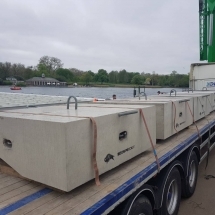 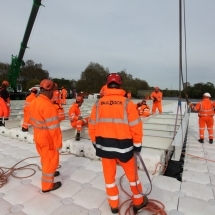 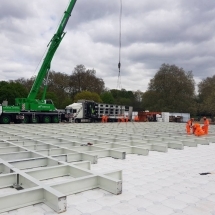 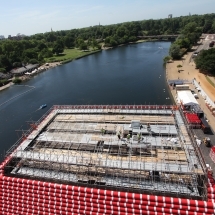 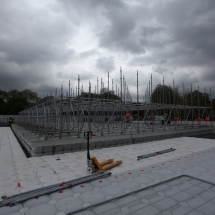 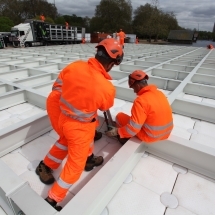 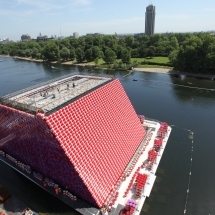 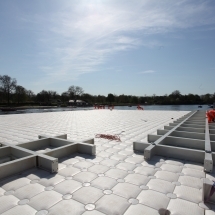 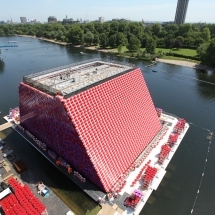 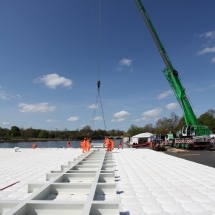 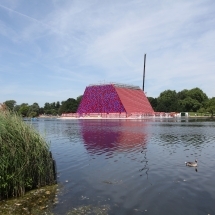 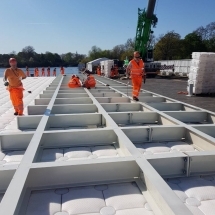 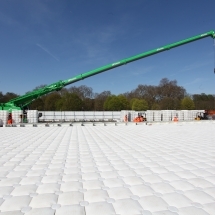 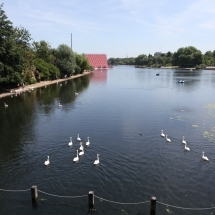 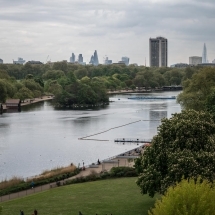 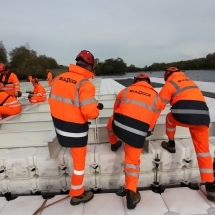 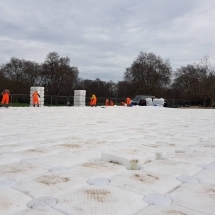 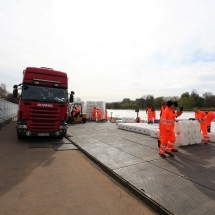 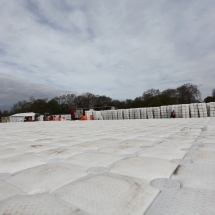 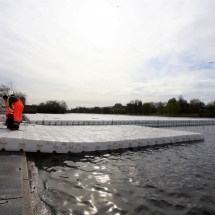 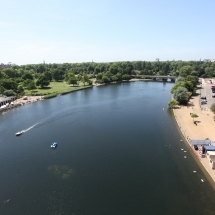 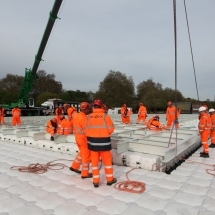 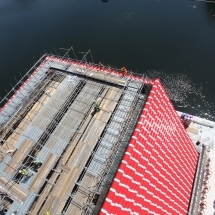 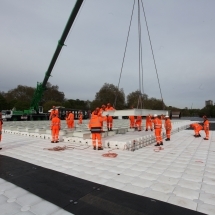 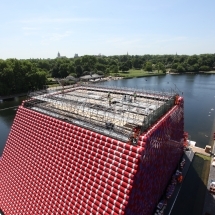 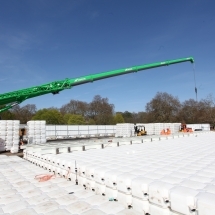 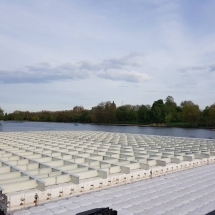 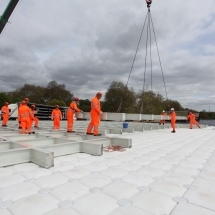 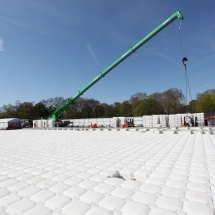 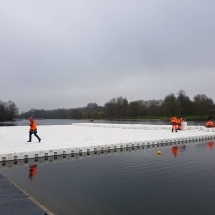 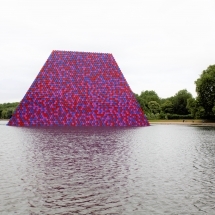 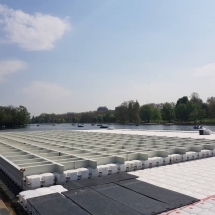 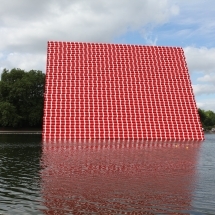 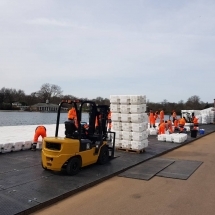 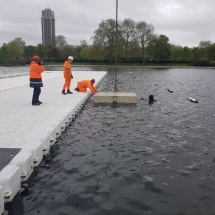 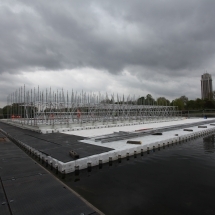 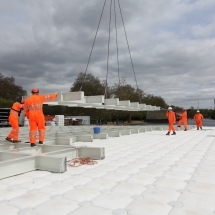 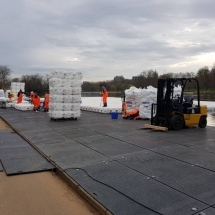 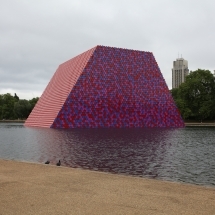 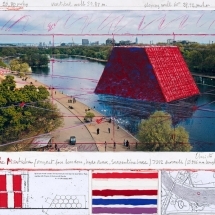 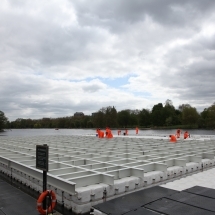 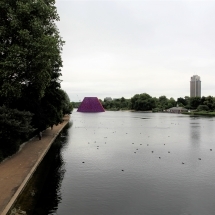 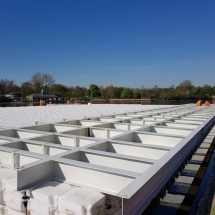 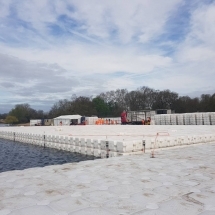 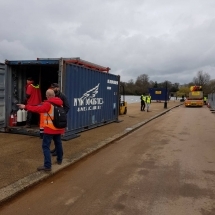 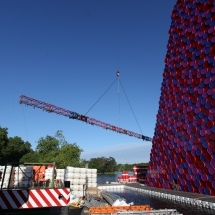 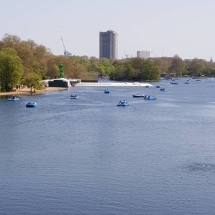 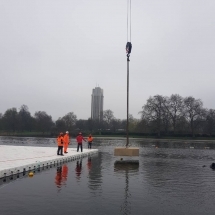 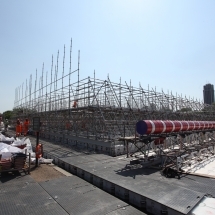 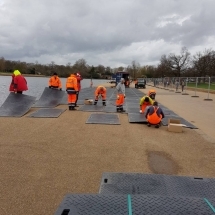 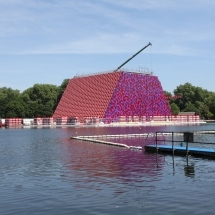 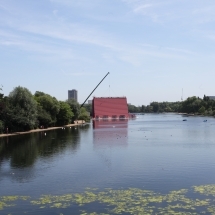 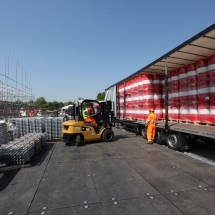 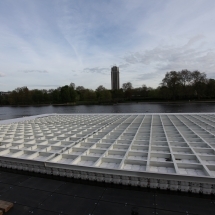 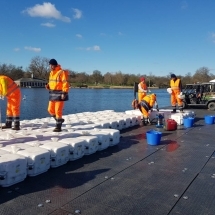 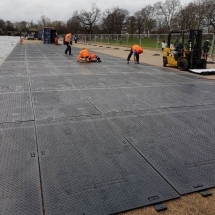 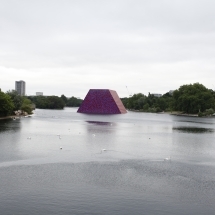 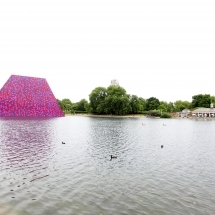 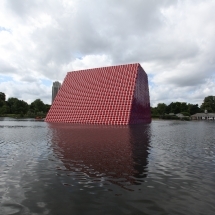 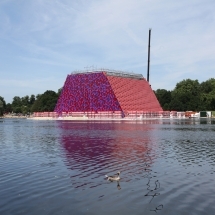 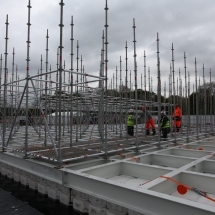 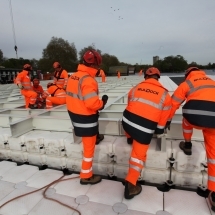 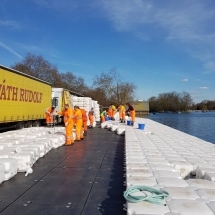 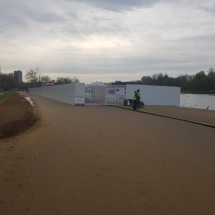 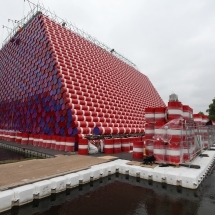 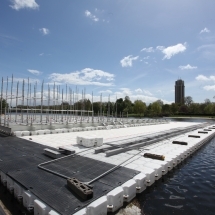 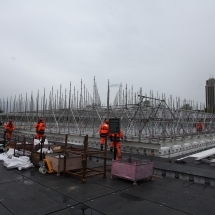 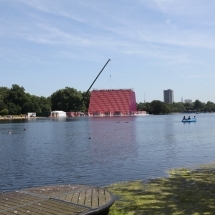 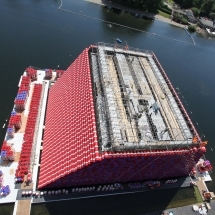 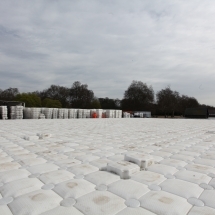 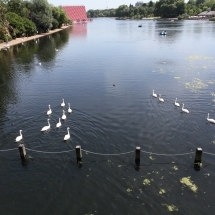 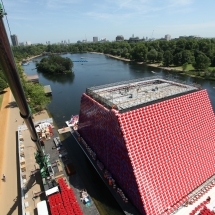 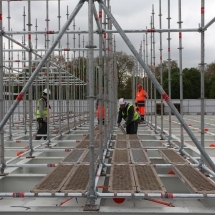 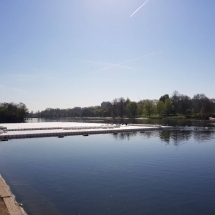 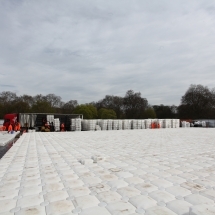 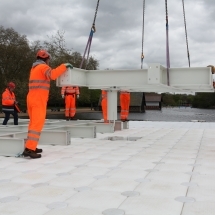 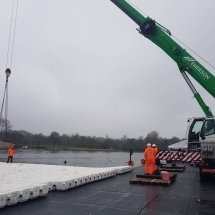 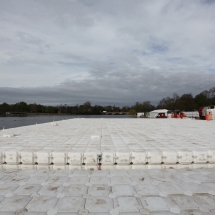 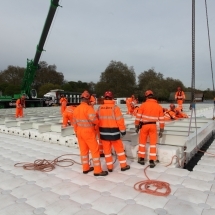 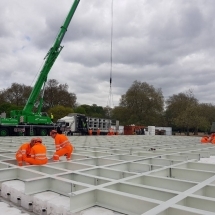 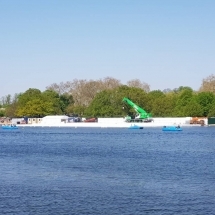 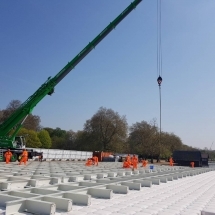 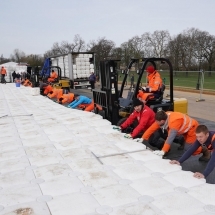 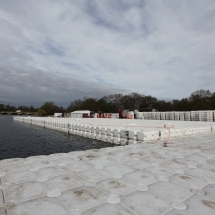 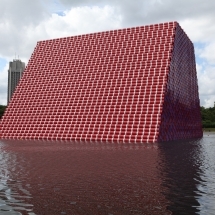 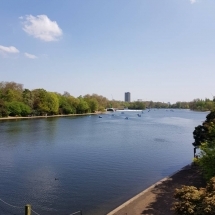 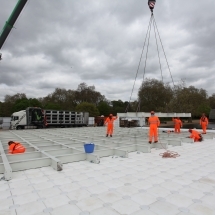 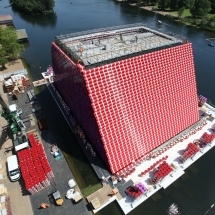 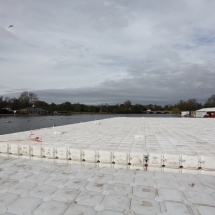 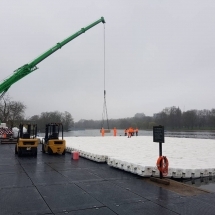 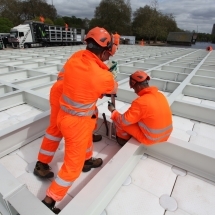 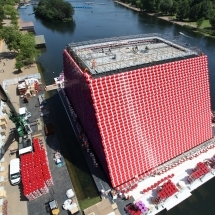 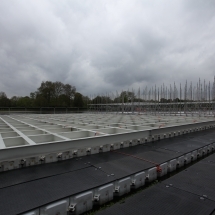 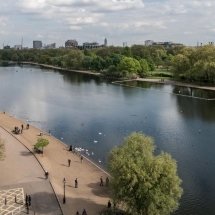 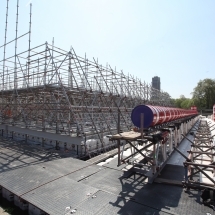 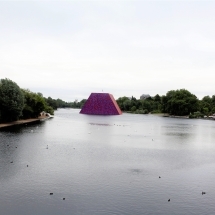 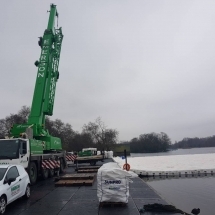 Christo is building a magical Mastaba that will be slightly floating over the water of Serpentine lake in Hyde Park. 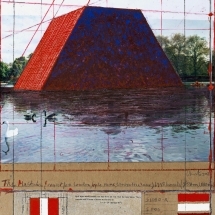 The story of the Mastaba is fascinating and there is no doubt why Christo is interested in this form. 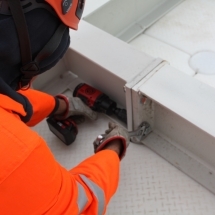 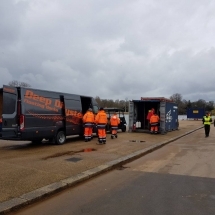 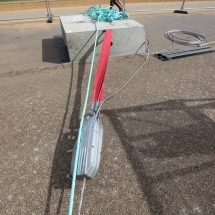 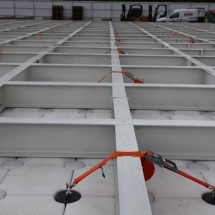 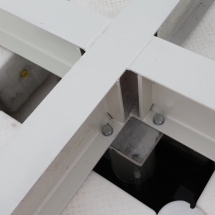 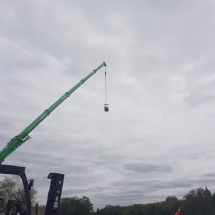 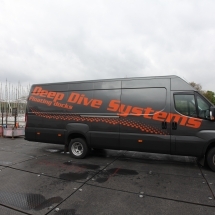 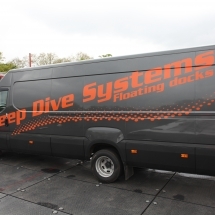 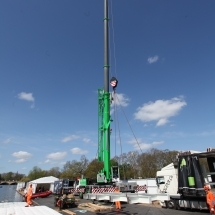 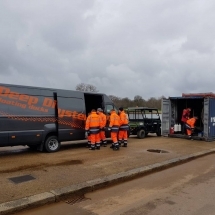 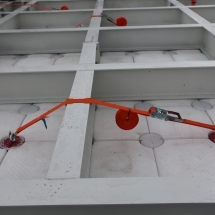 Deep Dive Systems (the owners of the brand Buldock) is taking part in constructing and anchoring of the floating structure. 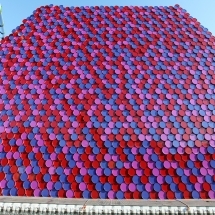 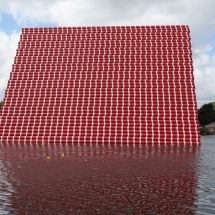 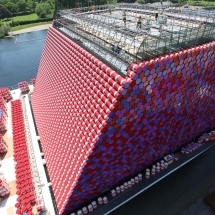 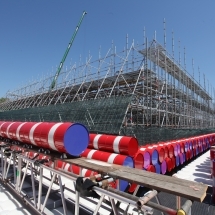 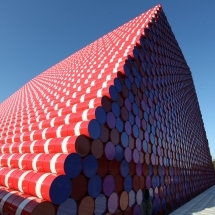 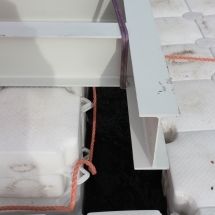 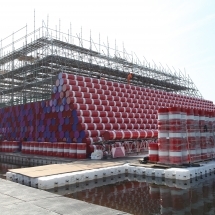 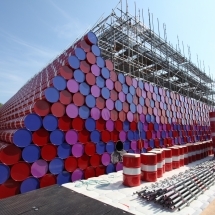 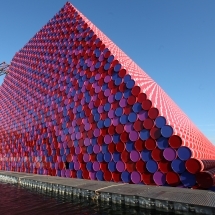 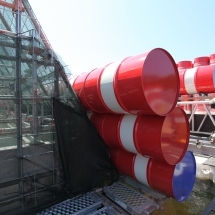 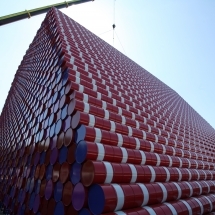 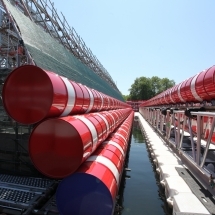 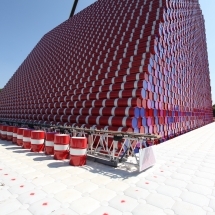 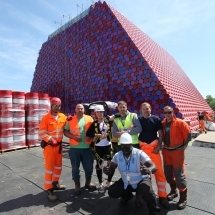 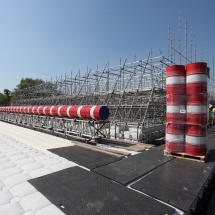 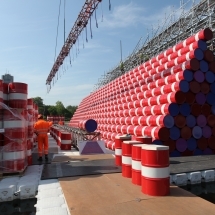 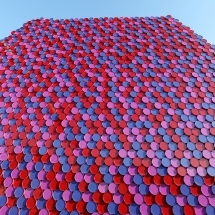 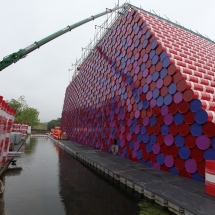 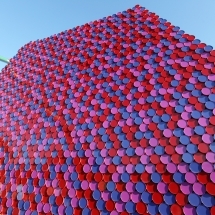 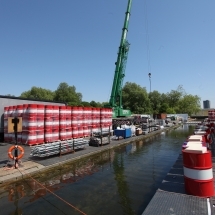 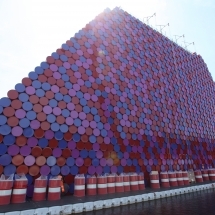 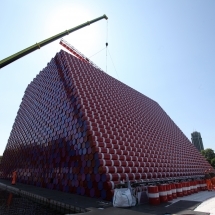 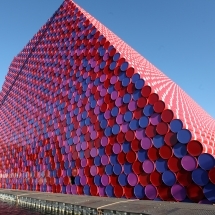 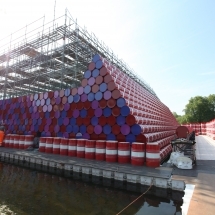 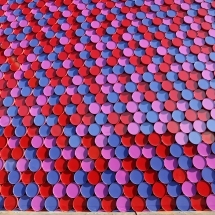 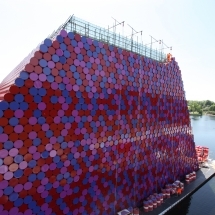 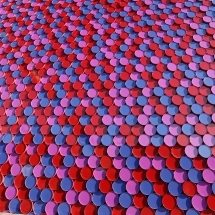 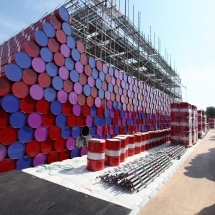 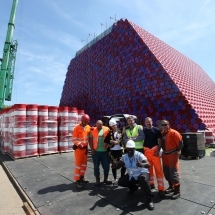 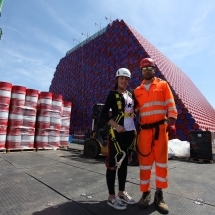 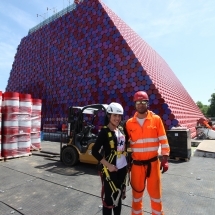 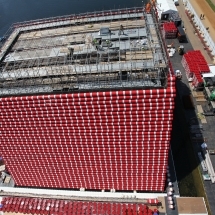 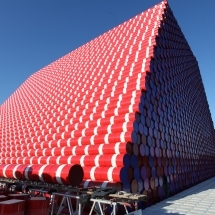 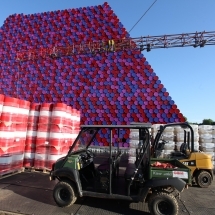 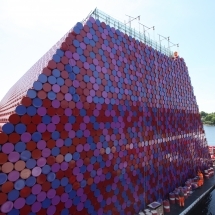 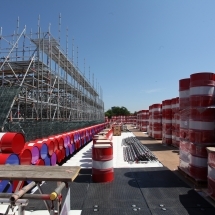 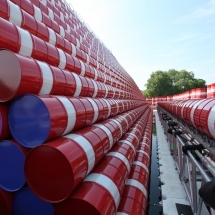 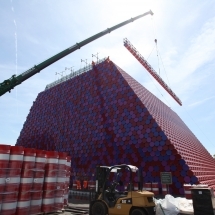 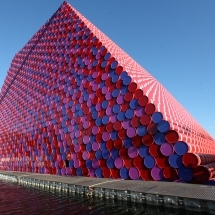 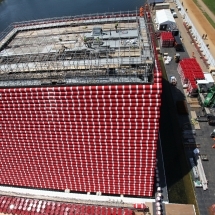 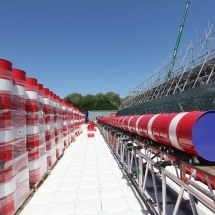 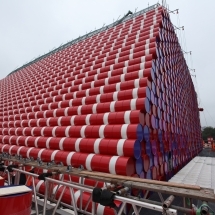 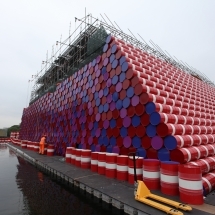 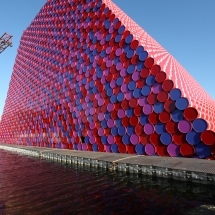 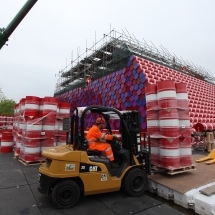 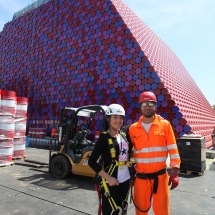 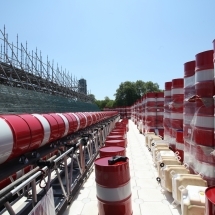 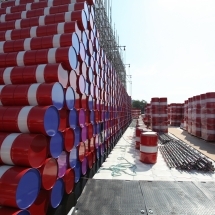 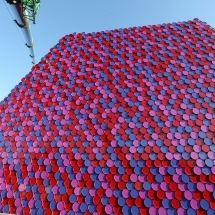 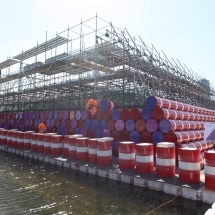 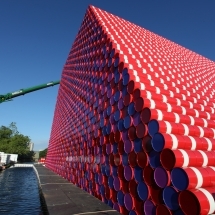 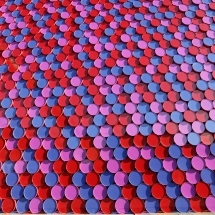 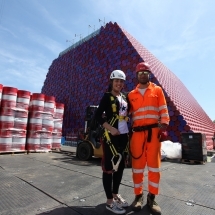 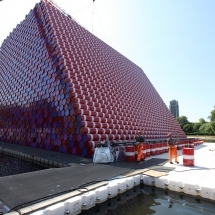 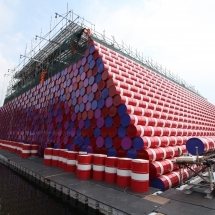 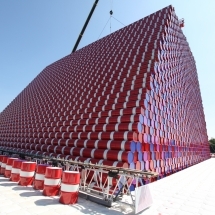 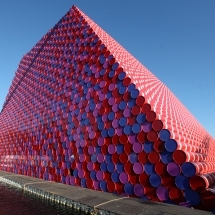 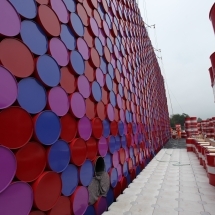 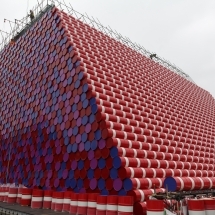 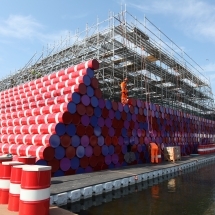 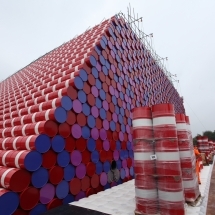 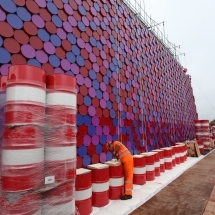 The Mastaba itself is a stack of 55-gallon barrels, numbering 7,506 in all, floating on the lake. 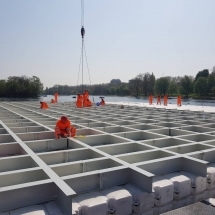 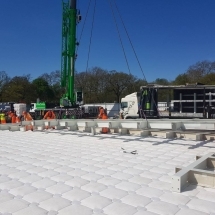 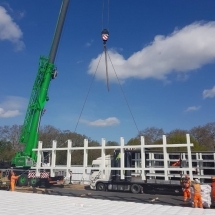 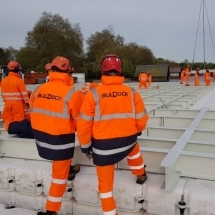 As a builder of this floating piece of art the team of BulDock is more than motivated to prove that they can make reality any floating structure. 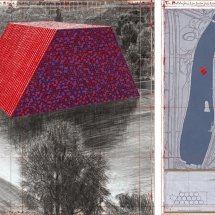 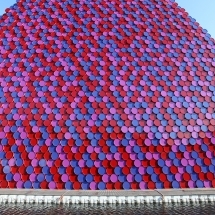 Тhe works of Christo are always challenging but that is why they are also unique. 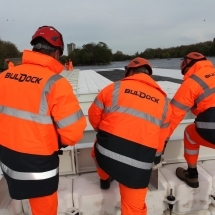 BulDock team is given trust and freedom to realise Christo`s ideas. 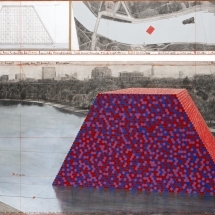 Christo counts on the professionalism and the long experience in the installation of floating structures. 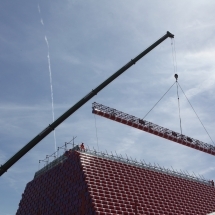 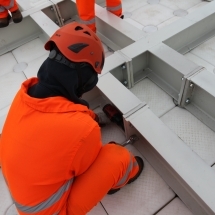 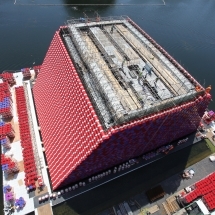 The floating platform for the Mastaba will be made of double layer of 9000 “cubes”. 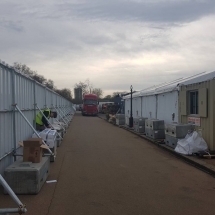 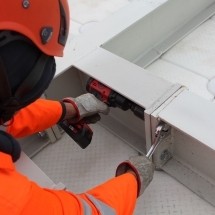 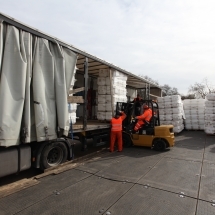 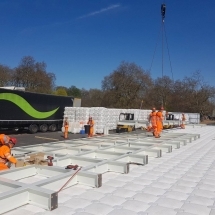 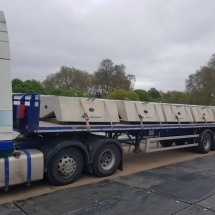 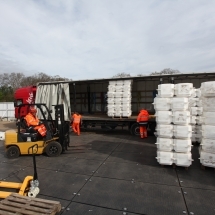 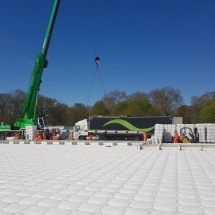 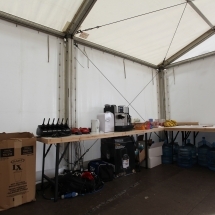 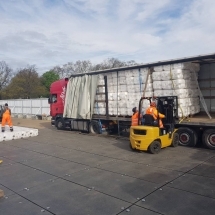 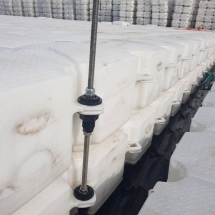 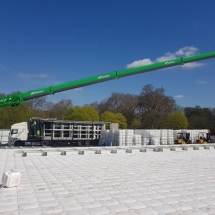 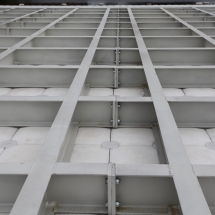 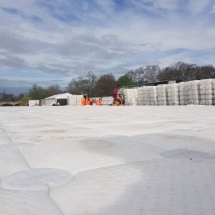 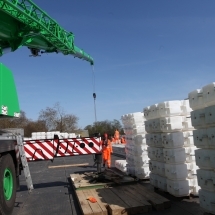 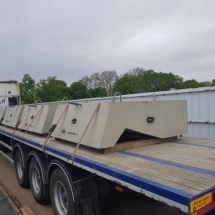 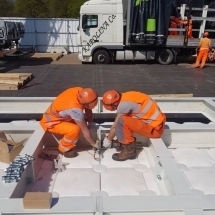 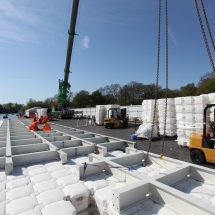 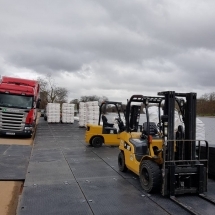 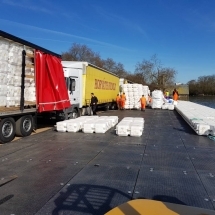 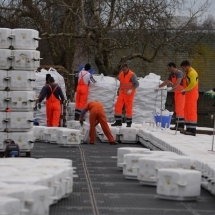 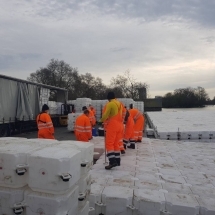 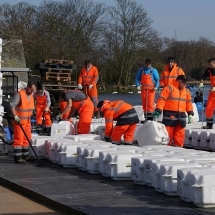 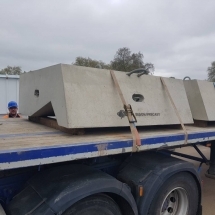 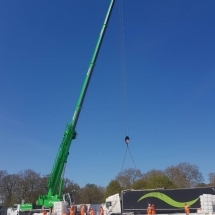 The cubes themselves are quality modular systems made from high density polyethylene (HDPE) – a polymer with numerous properties, including chemical resistance, impact resistance and high strength. 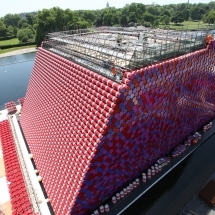 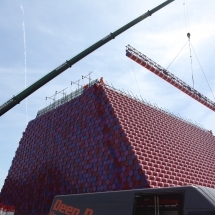 The previous tests for the Mastaba were held in a hidden place. 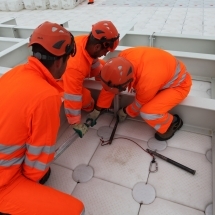 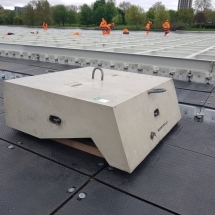 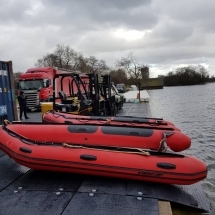 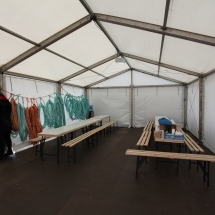 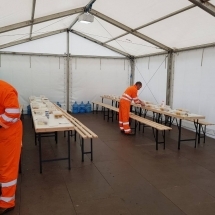 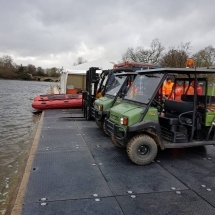 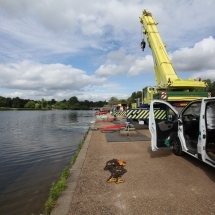 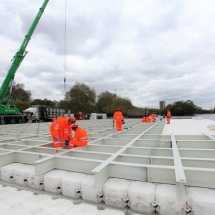 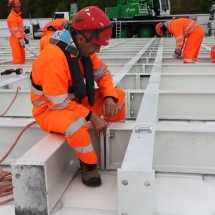 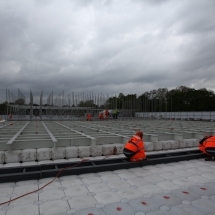 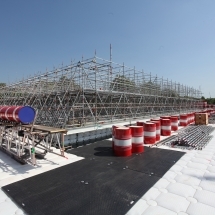 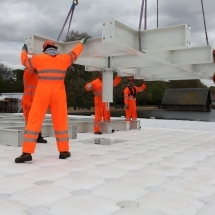 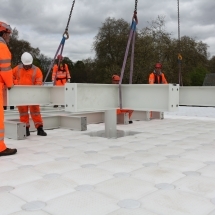 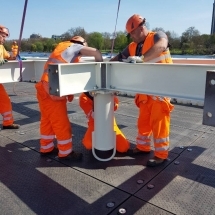 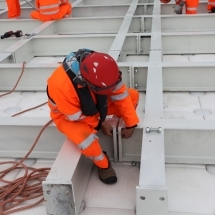 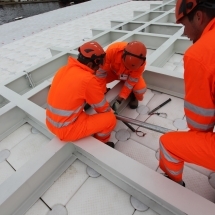 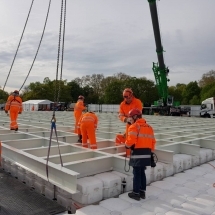 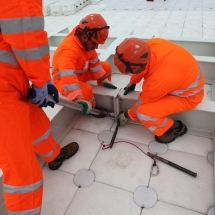 The professionalists were supervising how the platform was reacting to the movements of the water and the wind and most importantly how the superstructure will be behaving on the platform. 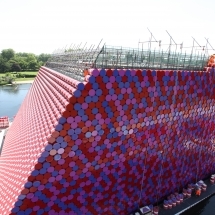 Nowadays, the process of the construction of the floating structure that will hold the 500-tonne Mastaba sculpture is already on the go. 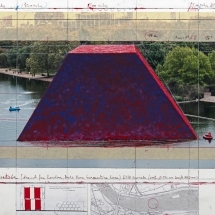 It is not the first time Christo does not put price on his works. 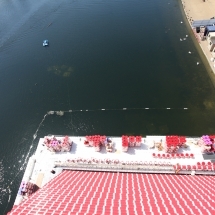 His amazing water project in Italy – “Floating Piers” was also available for free for everyone who wanted to see it.